Unregulated Spaces by Dennis McCart examines unregulated landscapes through the lens of oil painting transforming these ignored landscapes into places of possibility and paradoxical beauty. Unwatched and disregarded these are landscapes that sit along the fringes of our cities and suburbs; the freeway overpasses, scrublands, railway lines, bridges, transmission tower corridors, suburban creeks and abandoned quarries a world away from the landscapes of our ideal holiday destinations. They are often invisible to most of us regardless of their close proximity to our doorstep. However, it is in these concealed and overlooked spaces that afford us an unruly place of exploration where our imagination can flourish and a true kind of wilderness can be found. 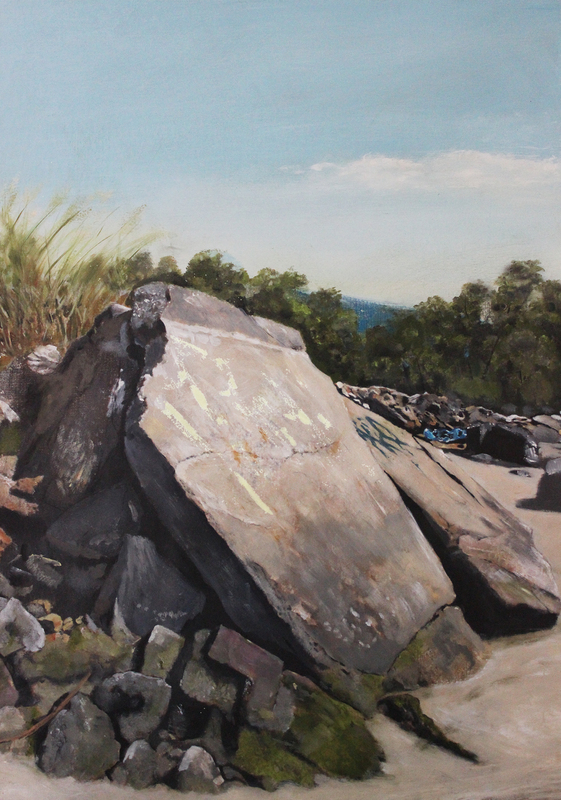 Image: Dennis McCart, Remnants of times before 2015, oil on linen on board. Courtesy of the artist.